Convert MPG to MOV or MP4, WMV, AVI, MKV and other 1000+ video formats. 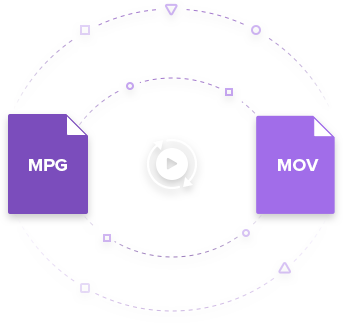 Customize MPG to MOV conversion with video editing and size compression. Super fast converting speed and high-quality output conversion for Windows/Mac. MOV is a popular video format using a proprietary compression algorithm and compatible with both Mac and Windows platforms. If you happen to have MPG files at hand and want to convert MPG to MOV format for enjoyment in Apple QuickTime (MOV), then you might need the assistance of MPG to MOV converters, which professionally conduct MPG to MOV conversion easily and quickly. Read this article to learn how to convert MPG to MOV QuickTime with the best video converter for Windows/Mac and online tool. Wondershare UniConverter (originally Wondershare Video Converter Ultimate) is what we recommend you to convert MPG videos to MOV on Windows and Mac system as its super fast converting speed and output conversion quality. 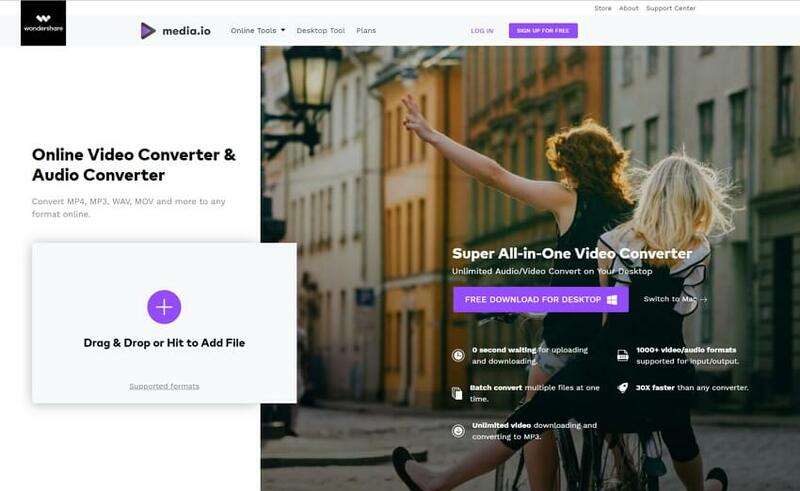 With this MPG to MOV converter, you can customize video size and edit video by trimming, rotating, cropping, adding watermarks, apply effects, and more other features. Additional functions such as burning video to DVD/Blu-ray disc, downloading videos from YouTube, making GIF, compressing videos are also supported by it. Convert MPG videos to MOV QuickTime and other 1000+ video formats easily and quickly. Edit MPG videos before converting with trimming, rotating, cropping, and other editing features. Burn MPG videos to playable DVD with attractive free DVD menu templates. Download or record videos from 10000+ video sharing sites like YouTube. Versatile toolbox combines fix video metadata, GIF maker, cast video to TV, CD burner and screen recorder. Without further ado, I'd like to show you how Wondershare UniConverter (originally Wondershare Video Converter Ultimate) converts MPG to MOV on Mac and Windows system respectively. Before getting started, please download the program to your computer and make sure you're downloading the right version based on your system. To convert MPG to MOV on Mac OS including Mojave, High Sierra, and Mountain Lion, you can rest assured to use Wondershare UniConverter for Mac. Now let's go to the step by step guide for MPG to MOV Mac conversion. Directly drag and drop your target MPG videos to Wondershare MPG to MOV converter for Mac, or click the Add Files button or Media browsers button to add MPG files directly from your Mac. Click on the Convert all tasks to option on the right-upper corner, select Video > MOV in the left sidebar and select the video resolution in the right. Note:If you are about to play the MPG files on iPhone, iPod, iPad or edit them in iMovie, Final Cut Pro, you can select the Editing category instead of Video. Click on the Convert All button to start converting MPG to MOV right away. You can find your converted MOV files from the Converted tab after the process finished. For Windows version, you can follow the steps above too as it has similar interface and same functions as Mac version. Or you can download Wondershare MPG to MOV converter for PC and watch the guide video below to learn more details. Tip: Wondershare MPG to MOV Converter also provides video editing functions. If you want to make your video more personalized, you can click the editing icons under the video thumbnail to get editing window, where you can add watermark/subtitle, trim/crop/rotate videos, etc. Online UniConverter (originally Media.io) will be your best choice if you have no space to download any software on your PC/Mac. Or if you want to find a free way as you just have one small size MPG video needed to be converted to MOV format. 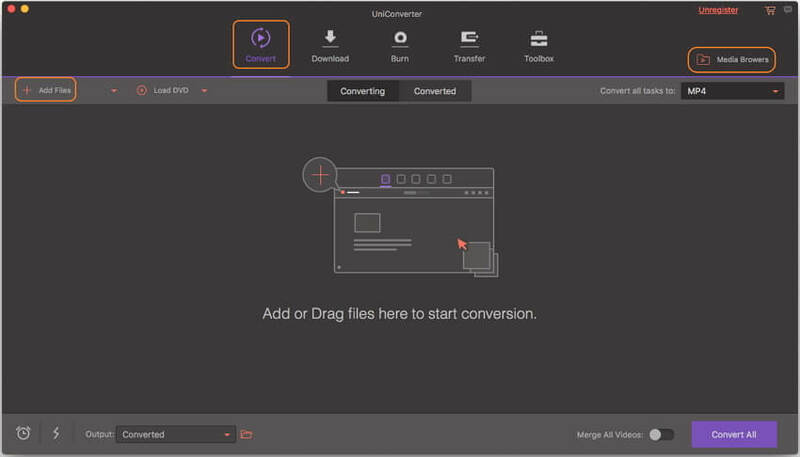 Online UniConverter supports most common video formats for free conversion and compression, there is no ads or watermark on the website, and you can use it no matter you're Mac user or Windows user. However, like most free online tool, Online UniConverter has file size limits and the converting speed is affected by your internet connection. Follow the simple steps below to convert your MPG to MOV online and free. Step 1: Open Online UniConverter (https://www.media.io/) website in your browser. You'll see an interface which shows Drag & Drop or Hit to Add File button, click it to select your MPG video and import it. You can add 2 files at a time. Step 2: Choose MOV as the output video format from the drop-down video list by clicking on the Convert all files to: option. Step 3: Tap on the CONVERT button to starting converting MPG to MOV files online. You can download the converted videos to your PC/Mac or save to Dropbox directly.